The potential for community forestry to improve the health of forests and the lives of those who protect them remains untapped. We were walking through the dense pine forests when he pulled out his wallet, took out all his cash, and threw the money on the nest of needles below our feet. He said that we had been given chickens that could lay golden flowers, but had neglected to pick our blossoms. He was right. Netra Bahadur Kunwar, forester and local from Chaubas, a village in Kabhrepalanchok District just east of Kathmandu, recounts this parting visit by the last team leader of the Nepal-Australia Community Forestry Project (NACFP). We are seated on a wooden bench, narrowly set against one of three establishments – all dark and bare – that make up Chaubas bazaar. We face the rain and the slippery, red-soiled road that brought me here. Several buses, loaded with people, heave back and forth, before heading downhill. They will wobble over boulders, past buses on the opposite side surrendering to the untraversable track and unloading their passengers, who will make steadier steps uphill. Somewhere between the crest of pine trees, the tip of Netra’s Dhaka topi and the ridgeline marks 2000 metres above sea level. The 18 kilometres down to the nearest town of Dolalghat takes the same two hours as the 65 kilometres from there to Kathmandu. There is no electricity here. Three decades ago, instead of a crowd of slim poles, there were shrubs and grasses dispersed across the mostly barren hills. That is what Tenzing Norgay and Edmund Hillary would have seen in the early 1950s on their ascent past Chaubas to the peak of Mount Everest, and what later made the Dalai Lama’s escape from Tibet visible from afar, as Netra tells me over a plate of kheer, sweet rice pudding seasoned with pepper. Netra is known here as thulo bhai, or ‘big younger brother’. 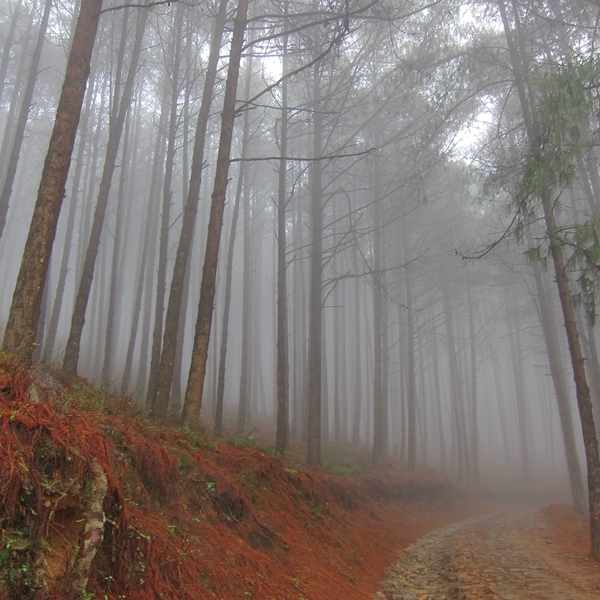 In 1978, growing concerns over the degraded and degrading slopes led to a major effort by Nepal’s Department of Forests (DoF), backed by Australian technical and funding support, to reforest over 20,000 hectares of land across Kabhrepalanchok and adjacent Sindhupalchok district with various species of pine. A few years later, the transition to community forestry began as the plantations were later handed over to local community forest user groups (CFUGs) to nurture and use. Community forestry is a forest governance model in which local communities manage, and sometimes even communally own, forest resources. The extent of community ownership and rights to use the forest for commercial and non-commercial purposes varies from country to country. In Nepal, community forests are designated for development, conservation, and utilization in the community’s interest, short of the land being fully owned by them. For years, communities have strictly controlled the consumption and distribution of the maturing trees – generally used for firewood, leaf-litter and lumber. Forests support agriculture-dependent communities in many ways. 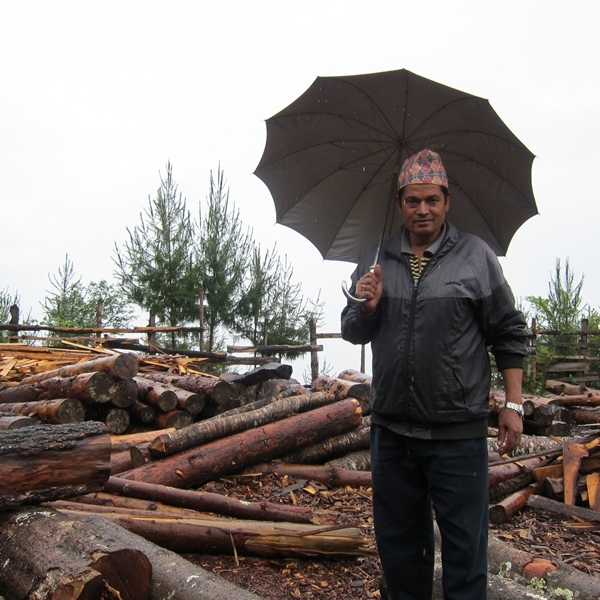 The majority of families in Nepal still collect firewood for cooking and heating. Fallen leaves are fed to livestock, or used for their bedding, later composted and applied as fertiliser. Timber is cut and shaped into ploughs, yokes and handles for small tools, or built into houses, cattle sheds and schools. And sometimes villagers forage through the growth for food, spices, healing material, or sellable resins. “We went from not having any accessible firewood, to paying one or two rupees per basket-load, to free collection twice a year,” explains Netra. But when it came time to thinning the forests and harvesting trees beyond their subsistence needs, various autogenous and external barriers continued to get in the way, causing billions of rupees worth of timber to grow old and stagnant, together with their ageing caretakers. “They are sitting on a goldmine,” Yam Malla, Nepal country representative for the International Union for Conservation of Nature (IUCN), says in his office in Kathmandu. The community dug and planted saplings of pine chosen for their hardiness – the native species Pinus Roxburghii for lower elevations, Pinus Wallichiana on higher ground, and the exotic Pinus Patula in between (also known as Mexican weeping pine). Most of Nepal’s forest loss took place around the late 19th and early 20th century. Among the causes of deforestation, farmers would receive government land tax breaks if they converted forestland into cultivable cropland, which incentivised felling. Also, many forests in the Tarai were later cleared for timber sale to India and grain production, profiting large families of the ruling Rana clan who owned the land. Competition between the two land uses – forestry versus agriculture – eventually reached a stalemate. Deforestation within designated forest boundaries, however, continued. Over 60 years ago the Department of Forests was established to strengthen central state management of forests, at the exclusion of locals. Around that time, under the changed political context following the 1950 democratic movement, feudally-controlled forests were handed over to the state, until a series of legislation, policies and plans enacted in the 1970s gradually decentralised management, first to local panchayats and then to community user groups. “Earlier conservation efforts took a command-and-control approach. It put people outside of the forest for the sake of conservation, blocking their traditional rights,” explains Ek Raj Sigdel, environment specialist for the Poverty-Environment Initiative, an effort led by the United Nations Development Programme (UNDP) and the United Nations Environment Programme that seeks to integrate environmental and poverty reduction drivers into local planning and policy. “Then the government realised that they did not have the manpower and financial resources to maintain that approach.” Hence, they started looking to communities for forest protection. The 1993 Forest Act legally recognized the autonomy of CFUGs over the management and marketing of forest products. 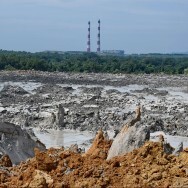 A common but unsubstantiated fear around this time was of widespread and catastrophic deforestation across the midhills. In many cases, communities were given heavily degraded land for which tree plantations were considered the obvious solution to reversing any further environmental degradation. Later on, natural forests were also entrusted to communities. Over the years, community forestry has gained global recognition as a successful model for forest conservation, with Nepal at the forefront. “Nepal has come a long way in the last 35 years,” says IUCN’s Malla, who offers a pertinent comparison: The same way Thailand’s airline industry is miles ahead of Nepal’s; Nepal’s community forestry has shot up past Thailand’s. Many countries have tried to replicate Nepal’s model. According to the latest forest inventory conducted in 1996, almost 40 percent of Nepal (about 6 million hectares) is covered in forest and shrub, with an annual deforestation rate of 1.7 percent. Ideally, the government would have their forest resource area maintained at 40 percent. Community forests take up a significant 28 percent of the forested area in Nepal, involving half of the rural population, and a fifth of the country’s terrain. Most community forests are in the central hills, where the quality of green cover has visibly improved. Over two million households in almost 18,000 CFUGs manage more than 1.6 million hectares of forestland. Surplus forest produce is sold within or outside the community. And from that extra income, CFUGs have built schools, laid roads and drawn electricity. More than a third of all CFUG expenses go to community development projects, and another third to forest development. That community forestry has contributed to forest growth and met the essential needs of communities who host them is well-documented. But with a priority on protection, communities have not been able to capitalise on the growing potential of their maturing forests. The 2005 Global Forest Resources Assessment by the UN Food and Agriculture Organization (FAO) distinguishes between forests primarily designated for ‘conservation’ of biodiversity; ‘protection’ of soil and water, control against avalanches and other environmental services functions; wood and fibre ‘production’; and the provision of ‘social services’ like recreation and education. But definitions often overlap in conversation, and these designations do not easily translate into official forest categories in Nepal. Making that transition would mean stepping away from passive protection to active silviculture – where trees are cut to an extent that maximises forest productivity, maintains forest health, and brings in windfall profits. Silviculture management plans designed for plantations in Kabhrepalanchok set a planting, felling and clearing timeline, in a way that farmers who seasonally prune and pick maize would have been familiar with. Initially when the project started, 1600 saplings were squeezed into one hectare of land. Every five years a few hundred of the less sturdy adolescents were cut, clearing area for the healthier trees to spread their roots, access moisture and sunlight, and grow in girth. Trees are like children, explains Kharel, “as they grow you need to give them more space. You give them a bed – then a bed is not enough. You give them a room – then a room is not enough. Then you give them a study-room.” After about 40 years, the last few hundred trees are felled to begin a new cycle of growth. Sometimes the plantation is opened up to let indigenous broadleaves mix in; the pioneer pines create a moist and sheltered environment to nurse them. Farmers favour broadleaves because pine litter makes for a poor fertiliser, and animals find the needles too prickly to sit on and too acidic to chew. “They are not a people’s tree,” says Mohns, of pine. But pine poles are easy to commercialise. They grow fast and the timber is popular for low-strength, cosmetic purposes – on exterior facades and interior decoration. Even with what the communities need for lodging, four-fifths of the timber produced from the plantations in Sindhupalchok and Kabhrepalanchok can be surplus goods. “There are millions of dollars sitting around in the hills, within 50 kilometres of Kathmandu, and a lot of communities could benefit from the economic advantage of getting that commercialised,” insists Gilmour. One study estimated the annual production potential to be 120,000 cubic metres, sold at over a billion rupees every year for twenty years – enough to add an extra 25,000 rupees to each household’s annual earnings, almost half the average national per capita income. But when the time came, the community’s apprehension over sending their tree-children off to faraway lands got in the way. “Maya lagyo. They felt affection for them and could not cut them down,” explains Kharel in Ratna Park. This emotional attachment compounded fears of losing their forests yet again. Many believed that “once you open the forest for commercial utilisation, you may actually go back to the old situation where all the forests were destroyed,” explains IUCN’s Malla. He recounts an eye-opening exchange with a user group. Ten trees were growing on two square metres of land. 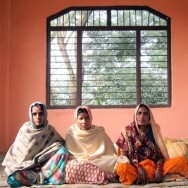 “Why can’t you harvest five trees out of the ten?” Malla had asked the community. “No sir, we can’t, that would be devastating. Let us only harvest two,” they responded. Popular opinion equated forests with conservation. “They believed cutting down trees was a crime. Trees were to be grown and sustained,” says Dil Bahadur Khatri, a forestry and ecosystem services specialist at ForestAction Nepal, a research-focused civil society organisation. Dangi at the DoF is quick to accept this reasoning for why plantations up north have not been harvested to their full potential. But has the government also set any barriers on logging? “In cutting trees, there is no governmental barrier, because the government has given the resource to communities to manage and use,” he says with confidence, revealing either a true or trained obliviousness. “Have you ever seen the government intervene in felling trees in community forests? If it is all written in their operational plan…why should they have to ask the foresters whether they should cut the grass or not?” [emphasis added]. Good questions. For which there are many good answers. Legal registration is an integral part of handing over forestland to local communities. To register as a legal entity, CFUGs have to formulate a constitution and operational plan that specifies how the community will protect their forests, utilise and sell its products, and punish violators. Once approved by the District Forest Office (DFO), CFUGs have full sovereignty – short of land ownership – over the forests handed over to them. But the government continues to impose explicit and implicit restrictions to the commercial sale of timber from community forests, recently even venturing to reclaim their relinquished rights. Then last March 2012, the government introduced further checks by allowing only 60 percent of the approved allowable cut to be logged for commercial purposes. “Looking at the state of the forests here, we should be cutting down trees based on the action plan itself,” admits forester Lok Bahadur Kunwar stationed in Chaubas, “but we are obliged to work based on the dictates of the forest department.” The government also imposed a tax of 40 percent on all forest products sold by CFUGs as far back as 2003. Some knots also form informally. Many government ministries, departments and agencies “put various barriers that make the whole local commercialisation a tangle of bureaucratic nightmares,” says Gilmour over the phone from Brisbane. Strictly legally speaking, communities have no obligation to seek permission from the DFO for what has already been approved in their operational plans, but reality is often different. A 2012 paper co-authored by Khatri on barriers to earning income from community forests tallied 24 visits to the district office that members of one CFUG in the southern district of Kapilvastu had to make to harvest a season’s trees, including NPR 8000 in technical assistance fees. From tree-marking, to cutting, auctioning, transporting and selling, without a DFO representative’s presence and approval at every step, the process stumbles. And often only stunted or fallen trees are marked for removal. Since early 2012, communities don’t just have to get permission from the district, but also from the regional forest office. For Chaubas, this is over 100 kilometres away in Hetauda. No surprise, then, that regional representatives never came to monitor, and several CFUGs did not get to cut any trees for commercial sale this year. “I don’t need to ask anyone anything to sell corn or rice,” Kharel points out. But given all the required running around to sell trees, “it is better that the trees just stay where they are,” he says, defeated. Every so often, there’s a government hurdle so constricting that no tree can be formally axed. On World Environment Day, June 5, 1999, former-prime minister Krishna Prasad Bhattarai made a public appeal to resist cutting standing trees, his words later twisted into a blanket ban on felling living trees in community forests. Occasionally, accounts of illegal logging will raid the media, and the government will respond by ramming through a national ban instead of identifying and addressing the problem at its source. This happened in 2010 following increased reports of smuggled goods from valuable forests in the southern plains. “Massive deforestation in the Terai” the BBC broadcast; “Forest user groups misusing rights: Govt” headlined the national daily Republica; and The Himalayan Times led with, “Worst deforestation in three decades!” based on a report by the previous parliamentary Committee on Natural Resource and Means, which found that almost 83,000 hectares of forests had been encroached on. 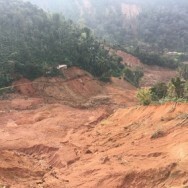 The study faulted a nexus of forest officials, politicians and privileged local individuals, but there is still disagreement as to who the key culprits are. And some, like IUCN’s Malla, see these numbers as applying to the plains, but not to the hills, where, Malla claims, “less than 1 percent, or less than 0.5 percent” of community forests have been subject to illegal logging. Contributing to this is an open border with India, where there are stricter logging regulations and higher timber prices. “Not all communities have done well. Because of them, communities that have done a good job are also penalised,” bemoans Lok Bahadur Kunwar, secretary of the Fagarkhola CFUG in Chaubas. In spite of this lack of evidence, towards the end of 2010, the MoFSC proposed a bill of amendments to the 1993 Forest Act, to recover some of the authority it had vested in communities. It required that communities ‘share’ the responsibility of implementing their operational plans with forest officials and split all external sales of forest products with the government. Many groups, including ForestAction and FECOFUN, lobbied against these changes, but with the dissolution of Nepal’s parliament in 2012, the bill has been put on hold. “While governments are often prepared to give away degraded forest to communities, they frequently try to regain control (by introducing taxes and other measures) when it is realized that the forests have become valuable assets after the communities have spent several decades in restoring them to a productive condition,” explains Gilmour in a 2011 discussion paper on the challenges in commercialising community forest products worldwide. A misguided environmentalist agenda took hold in 2011 when the government, under then Forest Minister Deepak Bohara’s tenure, announced a logging freeze for the whole of 2011, to celebrate the International Year of Forests. The price of timber in that period spiked from NPR 1200 to 5000 per cubic feet, noted ForestAction’s Khatri. 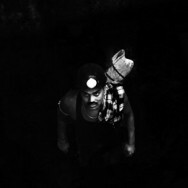 “People with a conservative mindset like Deepak Bohara will say that they have done a lot for conservation – but this is an illusion.” In Khatri’s view, the forest department measures its progress by the number of forests it has protected, not by the number of families it has supported through tree sales. The department’s mindset is a residue of British Indian-style forestry education that emphasises conservation of natural forests, explains FECOFUN’s Devkota. “There is no socialisation of the forest.” Indeed, Nepal’s DoF and many of its forest policies were modelled directly on British Indian practices and the Indian Forest Service. “This model in turn stemmed from the training and ethos of the Imperial Forestry School at Dehradun and Oxford,” explains a synthesis report of the UK’s forest projects in Nepal during the 1990s. “Over time, Nepal forestry administration began to grow fostering a highly disciplined semi-military forest service with rigid hierarchical structures, centralised institutions, timber oriented technical mind professionals.” To this day, curriculums in most of Nepal’s colleges teach a Dehradun-style curriculum, using books published by the newly-named Forest Research Institute. Even if the DoF did venture to manage the forests more actively, it lacks the human and financial resources to do so. In Chaubas for example, only four of the eight forest guard posts are filled. Less than a fifth of the 7500 staff at the DoF are technicians. Only three percent of the Ministry of Forest and Soil Conservation’s total budget in 2010 was spent on management. And the Community Forestry Division’s NPR 18,000,000 annual allocation, if distributed evenly across all CFUGs, leaves only NPR 1000 each. “Forest officials cannot participate in all activities such as meetings, assemblies, to silvicultural practices and marketing of forest products that CFUGs undertake,” describes a 2010 paper critical of the proposed Forest Act amendment, co-written by Khatri. “The limited capacity of the government to provide the needed services and putting controlling provisions against CFUGs to limit their autonomy will eventually hinder CFUGs from being active and innovative.” This was evident in Chaubas. 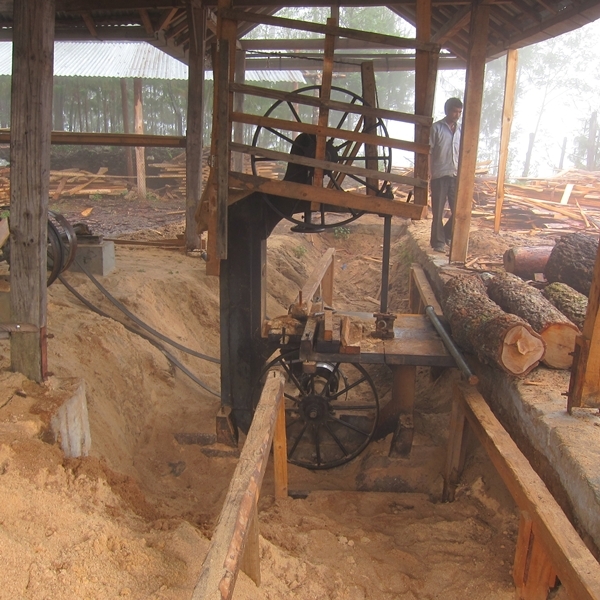 In 1996, four separate user groups in Chaubas – Chapani Kuwa, Fagar Khola, Dharapani Hile and Rachhama – formed the first community-run sawmill in the country, with DoF assistance and funding from the NACFP. The Chaubas-Bhumlu Sawmill Enterprise hoped to maximise on a steady supply of feed. But government bans and taxes described earlier, as well as contributions claimed by Maoist groups during the civil conflict, precarious road access, and a general absence of market savvy among community members, forced the mill to shut down in 2006. It barely processed double its annual maximum processing capacity of 35,000 cubic feet in eight years of operation. Most years it ran at a loss. The mill today is layered in a film of sawdust. Logs of Chilaune tree, Utis (alder), and Painyu (wild Himalayan cherry) from private forestland wait to be trimmed and dried. Slimmed of any branching limbs, their wide, sturdy chests will be sawed at NPR 60 per cubic feet, on diesel-generated power. But with the fretful fall of pre-monsoon rains, it may be a long wait. Without regular thinning, the forests in Chaubas have grown overstocked and stagnant. The more congested the trees, the slower their growth. A 2001 study of the area published in the Journal of Forest and Livelihood found that the rate of increase in tree diameter drastically declined from one centimetre a year until the age of six, to 0.2 centimetres by the tenth year – an estimated annual loss worth NPR 20,000. “Timber’s value is in its hardwood, not its sapwood. The larger its girth, the more hardwood there is inside,” explains the government’s Dange. Documented commercial sales of pine from Kabhre’s community forests have declined from 72,000 cubic feet in 2008 to 23,000 in 2012, and this year maybe only 40 percent of that will be traded. Meanwhile, pine sales from private land have increased from 8000 to 51,000 cubic feet in the same period. Last year, CFUGs in Kabhre sold just over 4 million worth of forest products, making each household a hundred rupees richer (incomparable with the 25,000 estimated potential mentioned earlier from the pine plantations alone). A three-decade review of community forestry in Nepal published in 2013 by the MoFSC identified a national annual CFUG income of 4 billion between 2010 and 2011, averaging out to 290,000 per CFUG. But last year’s figures prove to be a much lower half billion, equivalent to 31,000 per CFUG. “It is not that community user groups have not benefited from the forests, they have benefited a lot, but they could gain many times more if we did scientific forest management,” articulates FECOFUN’s Devkota. Additionally, there have not been any hydrological benefits seen in the 25 years of forest plantation. That forests contribute to increased dry-season water flow in wells, springs and streams is a common misconception – indeed, the opposite is often the case. A 2013 study in the Ecohydrology journal co-authored by Gilmour found that practices like excessive removal of leaves and grassy herbs from undergrowth and constant heaving through of cattle-hooves, have prevented water from filtering through the soil. “Simply planting trees in degraded landscapes is not sufficient in itself to restore watershed hydrological functioning,” the paper notes. “The consensus of extensive research in controlled catchment studies is that harvesting trees causes an increase in total water yield with the greatest proportional increase occurring in low flow periods,” Gilmour further elaborates in a draft 2013 paper on Forests and Water. So if water is scarce, especially in the dry season, sometimes it may be better to cut. And yet, how best to transition from protection to commercialisation of community forests is still an open question. Some say that communities just don’t have that shrewdness for capturing profits, and worry about what cultivating a market sense would do to their conservation incentives. A few have started experimenting with new modalities, like in Chaubas. With support from UNDP’s Micro-Enterprise Development Programme, locals hope to renovate and upgrade their machinery, then lease out up to half of their business to a private entrepreneur that will breathe new life into the sawmill. “Apparently even this sawdust has a market,” remarks Netra, looking over the edge of a log, under the spreading wings of his large, black umbrella. Moving forward, ForestAction’s Khatri insists on a middle ground. Without proactive efforts by the government to change the way they work, and FECOFUN’s willingness to try out new frameworks, “the risk of things staying the same is high…The way things are going, I don’t think a lot of change will happen,” he admits. 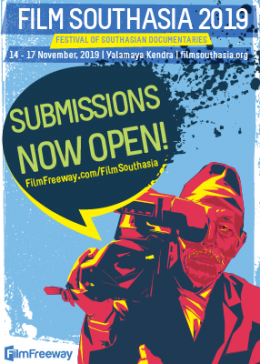 ~Smriti Mallapaty is an environment and science journalist based in Kathmandu.